The Star’s Sheffield Wednesday writer, Dom Howson, attended 50 press briefings, six pre-season friendlies, nine development matches and covered 48 out of the Owls’ 50 fixtures home and away last campaign. Here, he recalls some of the highs and lows as Wednesday secured a mid-table Championship finish. 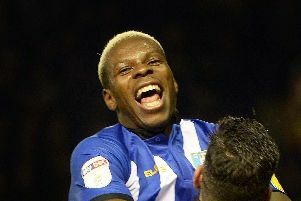 Wednesday played some really eye-catching football in their 2-0 triumph at Nottingham Forest last January. You could argue it was a good time to play Forest, with Stuart Pearce’s men short on confidence having gone seven matches without a win. But Wednesday completely out-played Forest in the second half and the final scoreline should have been more emphatic. Sharing a car with former Owls manager Brian Laws to and from Cardiff. It has been a pleasure to get to know Brian this season. What you see is what you get with Brian. He is a very honest, genuine, down-to-earth bloke and has a wicked sense of humour. Just a shame he didn’t see an Owls victory. Wednesdayites taunted Cardiff supporters in their own backyard by singing: “We’re Sheffield Wednesday, we’ll always be blue.” Cardiff owner Vincent Tan bowed to growing supporter pressure to scrap the unpopular red home kit and revert to their traditional colours earlier this year. Wednesday’s 7-0 hammering at the Etihad. Nobody saw City’s dominant, ruthless second half performance coming. They ripped the Owls’ defence apart, underlining the gulf between a Championship side and a top Premier League club. City taught Gray’s troops a harsh lesson in the art of finishing. Their humbling still did not stop the 5,500 Wednesdayites from cheering the team right to the end. Being ushered into a hospitality room at Hillsborough to meet Adam Pearson and Glenn Roeder for the first time. All of the local press turned up expecting to have a catch up with chairman Dejphon Chansiri. How wrong we were! Pearson and Roeder’s appointments had been kept in house and were announced just minutes before we entered the room. The four-man table consisted of Roeder, Chansiri, one of Chansiri’s trusted lieutenants and Pearson, with the press conference lasting nearly 50 minutes! When Milan Mandaric bid farewell to Wednesdayites with an emotional speech on the pitch at Hillsborough before the team’s clash with Cardiff City. His name reverberated around the ground as he said his goodbyes, having agreed to sell the club to Thai businessman Chansiri. It was a great and fitting send-off for Mandaric, who saved Wednesday from the threat of administration in 2010 and then led them to promotion two years later. Owls’ head physio Paul Smith after Kieran Lee’s last-minute winner against Rotherham United. The lifelong Owls fan became an internet sensation following his 100m dash up the touchline to join in with the partying in the corner where the 1,210 away fans were housed. As I wrote in my report: “He kissed the badge with pride after a sprint that Usain Bolt would have been proud of.” It is pretty rare the support staff get to celebrate with the players so it was lovely to see Paul, one of football’s good guys, enjoy himself. Royston Drenthe’s wonderful solo strike away at Charlton. The one-time Real Madrid forward collected the ball on the halfway line, waltzed past two defenders before drilling an unstoppable left foot shot out of Charlton goalkeeper Stephen Henderson’s reach. Drenthe was “unplayable” in the first period and Wednesday missed his nimble footwork and pacy runs following the expiry of his loan deal. There were quite a few contenders for this category. Stevie May, Atdhe Nuhiu and Caolan Lavery all missed fine opportunities on the road against Leeds United, Nottingham Forest and Bournemouth respectively. Perhaps the worst miss of the campaign came in the closing stages of the Charlton home draw when Nuhiu, unmarked, headed Lewis Buxton’s delivery from close range wide. He had to, at the bare minimum, hit the target. Lancashire official Graham Salisbury somehow failed to award a late penalty to the Owls at the John Smith’s Stadium after Huddersfield Town centre-back Joel Lynch upended Chris Maguire. Centre-back Lynch, inexplicably, escaped punishment, with Salisbury, instead, giving a free-kick to the hosts and booking Maguire for simulation. It was, as Gray pointed out, a “stonewall penalty” and you would have fancied Maguire to have converted from 12 yards. In the reverse Huddersfield fixture, Lynch produced a stunning piece of defending just after half-time to defy Atdhe Nuhiu and Wednesday. When Nuhiu rounded Terriers goalkeeper Alex Smithies and stabbed the ball goalwards, the Owls appeared destined to break the visitors resistance only for Lynch to race back, slide in and clear off the line. Keiren Westwood. Arguably the best goalkeeper outside the Premier League. He proved to be an inspired summer signing, helping the Owls equal a club record 17 clean sheets in a league season set by Jack Charlton’s team 36 years ago. Lewis McGugan is a class act. Across two loan spells, the 26-year-old scored three goals and his ability to pull the strings in midfield was a big asset to Wednesday. For Wednesday to push on and mount a promotion push next season, it is vital they sign McGugan on a permanent basis. Hallam Hope and Gary Taylor-Fletcher. It just didn’t work out for either of them, with the duo failing to make an impact. “I don’t think many teams will come here (Hillsborough) and collect points,” said Derby County boss Steve McClaren after their goalless draw at Wednesday in the second match of the season. The Owls briefly flirted with a play-off tilt in the New Year but, ultimately, fell well short through a lack of home wins and goals. They fired blanks on their own turf on nine occasions, finding the back of the net a paltry 16 times and recording just five wins.